'Pump and dump' after a night out! After much research I chose the Swing Breast Pump from Medela, which is the only single electric, personal use pump with 2-Phase Expression Technology, designed to get more milk in less time. It won the BEST BUY - which award. First researched and developed for hospital breast pumps, 2-Phase Expression is an advanced pumping pattern that mimics the baby's natural pattern. Basically, it has a slower pumping action for the first 2 minutes to get the milk going, then a faster different pulse to get the milk out once it's going, and can be set to your own preference of speed and strngth. With an included belt clip and shoulder/neck strap, as well as a compact design that allows it to fit easily in a purse or briefcase, you can use the pump anywhere. A thing to note is that you should regularly rinse the tube in hot soapy water and ensure it is completely dry before using again. 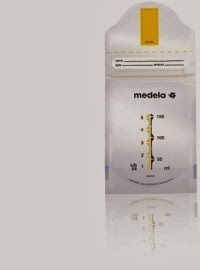 There are manuals on the Medela website or Mothercare websites for any issues. Also, make sure if any water or moisture gets in the tube you bin the milk, as it can be contaminated and mould can grow. You can pump directly into the Medela bottles. I found it best using the medela bottle but with an NUK latex teat (which fits the standard bottle) www.nuk.co.uk. The medela teats were no good for bubs, and the NUK ones are orthodontically designed for baby mouths, whilst latex is more natural feeling to the baby than silicone. Medela Quick Clean Micro-Steam bags are also brilliant for sterilising bottles. They can be re-used many times over. Great help for mothers. Saving some protein for their little ones.